I was feeling a little overwhelmed today, so I decided to cook something silly. I give you… the low carb strawberry poke cupcake. In the normal world you make poke cakes by baking a store bought cake mix, poking holes in it and then pouring Jello on top. So easy. So rewarding. But for this low carb version, we’ll be using Sugar-free Strawberry Jello and making the low carb cupcakes from scratch. 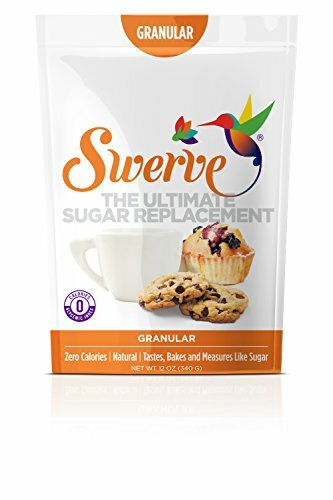 My low carb and keto version takes a little more time, but gets the same ridiculous result. Cakey Jello-y goodness in the palm of your hand. This recipe for low carb poke cupcakes are the perfect blend of Jello and vanilla cupcake. 1. Preheat oven to 350 degrees F and add foil cupcake lines to a cupcake pan. 2. Add softened butter, cream cheese and sweetener to a large bowl, and use an electric mixer to cream them together. 3. Add the eggs and vanilla extract to the blended ingredients. Blend with the electric mixer until smooth. 4. In a separate medium sized bowl, mix together the almond flour, coconut flour, baking powder, and salt. 5. Slowly add the dry ingredients into the batter. Blend until very smooth. The batter will be very thick. 6. Pour batter into the cupcake pan. Bake for 20-25 minutes at 350F. The tops should be browned and a toothpick in the middle should come out dry. 7. After the cupcakes goes into the oven, dissolve the Jello powder into 1 cup of boiling water. Put it in the fridge until you are ready to use it. 8 Cool the cupcakes for 15 minutes. 9. Using a wooden skewer or toothpick, poke holes in the cupcakes. 10. Pour the Jello over the top of the cupcakes and then chill for 1 hour in the fridge. 11. Whip together the heavy whipping cream and powdered sweetener until stiff peaks form. 12. Frost the cupcakes with whipped cream. Return to the refrigerator for 1 more hour. If you liked this Jello cake recipe, then you might like my recipes for Strawberry Jello Layer Cake, Raspberry Jello Cheesecake Bars or Rainbow Jello Cake. 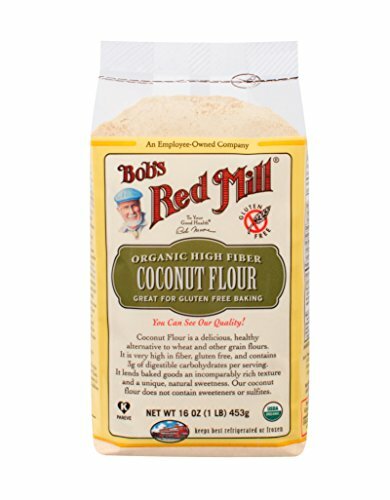 I’ve never worked with cassava flour, so I don’t know what ratio it would be to substitute it for coconut flour. I recommend a recipe that uses almond flour instead. Just omit the blueberries and follow the poke cupcake instructions from the time that they come out of the oven. Hope this helps! I love how fun these cupcakes are. Will this frosting melt and fall off the cupcake as time passes? Or will it hold up well? Just a warning though- the unflavored gelatin will be difficult to work with in such a small quantity. That’s why I went with a simple whipped cream frosting. Can I double the almond flour? I don’t have any coconut flour. You can substitute 1/4 cup almond flour for the 1/4 cup coconut flour. It’ll be a little bit heavier, but will still be good. Gosh! This looks yummy!! You have answered a looming question I had about how to make a low carb cake or cupcakes! Thank you, thank you, thank you! !